Love the harness track? 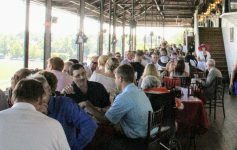 Love the Saratoga Race Course? Then you’ll love this! Visit the Saratoga Casino Hotel this Saturday to witness some of the most talented harness racers from across the country compete at the 10th Annual Joe Gerrity Jr. Memorial Pace, featuring a fully loaded field and a first-time ever cross-wager with the Saratoga Race Course. The Joe Gerrity Jr. Memorial Pace honors the life of Joe Gerrity, Jr, an active member of the local community and integral part of the area’s equine development. He was an influential leader at Saratoga Harness and bred horses in Loudonville, one of which won the Breeder’s Cup at Yonkers Raceway. This year’s Joe Gerrity Jr. Memorial Pace is lining up to be one of the most exciting annual paces yet, with four out of the eight entries boasting more than $1.4 million in lifetime wins. 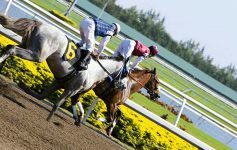 The pace features a $260,000 purse and more than $500,000 in total purses throughout the evening. 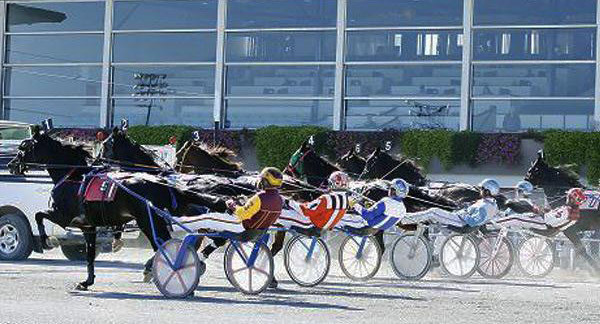 Saturday night’s lineup continues with six thrilling New York Sire Stake races, with the last one featuring ‘Foiled Again,’ the richest horse in all of harness racing across the United States. The Annual Joe Gerrity Jr. Memorial Pace will also offer 2018 ‘Gerrity Night’ t-shirt for sale in addition to 77-cent Stewart’s ice cream cones. 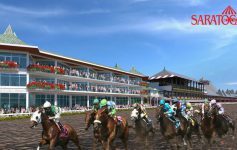 A new addition to the Annual Joe Gerrity Jr. Memorial Pace this year will be an exclusive cross-wager with Saratoga Race Course. This cross-wager, called the ‘Toga Toga Double,’ allows bettors to place a double wager on both Saratoga Race Course’s Diana Stakes and the Joe Gerrity Jr. Memorial Pace.